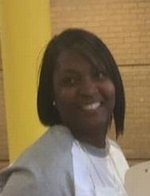 My name is Nicque Hall and I have been teaching for 19 years in Christian County! I graduated from Murray State in 1999. Wow that seems like such a long time ago! I am excited to have you visit my page and I hope you find it useful! If you have any questions or need help just email me & I will gladly get back to you! If your child is in my class be sure to join our class Dojo!! I have taught 2nd, 4th, & 5th grade classrooms (all content) & have also taught math to K-5th grade over the past 19 years! I served as a Math Intervention Specialist through Kentucky Center for Math for 7 years. I feel that the fact that I have been all over the grade levels has only strengthened me as a teacher. I love what I do and I must admit that my favorite part of the job is that "ahhhh haaa" moment for students!! I LOVE it! !